The Fishing Club hosts several events throughout the year! Competitive fishermen enjoy our Tournaments and Big Fish of the Month competitions, Member’s children and grandchildren can participate in our Kids Learn to Fish Day and our Annual Kenny Lippert Kids Fishing Day, all Members and their families can enjoy our annual Fish Fries and Clam Bakes! Additionally, the Fishing Club participates in a fish stocking program for Lake Roaming Rock. 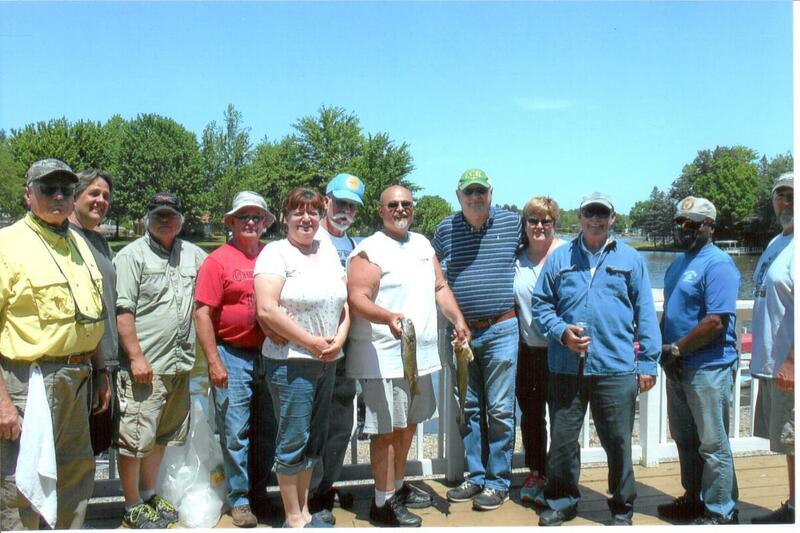 A yearly membership to the club is only $20 per family (Fishing Club Members must be RRA Members in Good Standing). Open to all RRA Member’s children and grandchildren. Students will learn fishing basics, how to tie on a hook, casting, and other great fishing fundamentals. Students will also receive a free lunch and a free fishing pole. If you have any questions regarding the Kids Learn to Fish Day, contact Dave at 440-520-0203. The Kids Fishing Day is a fun tournament just for kids ages 0 to 14. If you’re interested in sponsoring this event, donations of $50 or more are being accepted. We will post your information on the Fishing Club’s outside bulletin board as a thank you for your support. Please contact any Fishing Club Officer for more information. There will be food, fun, and prizes! Husband/Wife, Boyfriend/Girlfriend, Father/Daughter, Mother/Son, etc.